There is one spectacle grander than the sea, that is the sky. 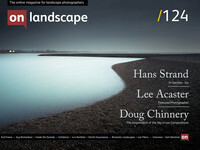 Often, as ‘landscape’ (or ‘seascape’) photographers, our focus is on the just that, the land or the sea. Here is our foreground, the place we search for leading lines and ’S’ curves, for texture and interest. It is very easy to become preoccupied with what is happening around our feet and off towards the horizon while forgetting, or placing too little importance on, what is going on above us in the sky. Indeed, for some, it appears the main consideration concerning the sky is which ‘third’ to place the horizon line on. (and don’t get me started on the Rule of Thirds [We've written about it before here, here and here - Tim]). We can, if we are not careful, just accept what the sky presents us with and make the image almost in spite of it. Indeed, for some, it appears the main consideration concerning the sky is which ‘third’ to place the horizon line on. As photographers however, we are photographing light and the sky, or perhaps more accurately, the sun, as the source of that light. We are drawn to the colours of light around the edges of the day, at dawn and dusk, but we may fail to realise that what is happening in the sky can often make or break the effectiveness of a composition; not just because of the quality of the light but also because of the patterns in the clouds. We take so much care to organise the foreground elements in the frame, should we not also give the sky the same intensity of consideration? If we do not, then perhaps we are treating it simply as a backdrop. The kind of thing a studio photographer drapes over a stand just to give a portrait image a background. How sad that would be when, as Mr. Hugo said above, the sky is such a grand spectacle. Or, it may very well be, that if possible, we return to that composition many times until one day we are blessed with that wonderful coming together of earth and sky which work together perfectly. Those are the moments we landscape photographers live for. To use the sky as an integral part of our composition we need patience. It so rarely performs for us as we would like. I can’t be the only landscape photographer who sometimes wishes I could just nudge clouds into position, much as a landscape painter can place the clouds exactly where they want to enhance the painting? Or perhaps even to change the cloud type, maybe from a leaden grey blanket of low Stratus into a day of high wispy Cirrus? On location, if an image is really worthwhile, it is worth waiting to see if the right clouds drift into position for us and this takes patience, rather than running around a place firing off lots of frames regardless of what is happening above us. Making the clouds an integral part of the composition can really elevate an image and add so much to it.